Finally Ready to Live On Your Own? Living in an apartment for the first time can be an exciting and scary time, let Spaces Storage make this transition easy. We will take care of transporting all your items from Mom and Dads place to your new pad so you can focus on enjoying your new found freedom. What happens when there’s just too much stuff crowding your little space? Most apartments come with minimal storage at best and let’s face it; you’re just not ready to give up those old year books and college photos. Spaces Storage has your solution with our portable storage units. 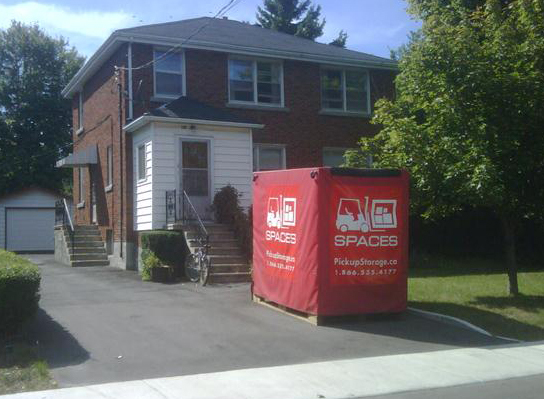 Our storage units can be delivered to your apartment building. You can take your time packing them to be sure you’re storing what you want. Once you’re finished we will take the units away and your apartment will seem a lot less crowded.